This area of France is very big on sports particularly hiking, cycling (mountain or road), fishing and water sports. 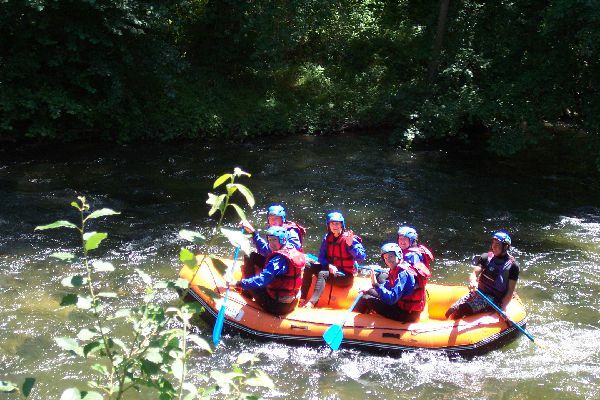 There are also other activities like horse riding, quad biking, paintball and more. You will find that we are right in the middle for all of these activities. Below are just a few ideas and there is a Tourist Office 4km away in Quillan with loads of information and very helpful English speaking staff. If you have a tablet or smartphone you might try the Sitytrail application which comes with free maps for 14 days after which you need to subscribe but it's still cheap. Loads of walks and bike routes already loaded to chose from. 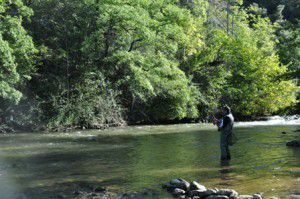 The Aude is a Class 1 river which contains mainly Trout (and Grayling). You can either fish from the bank or more commonly fly fish. The water flow is dropped in the evenings to allow for fly fishing. We also have quite a few lakes nearby which offer a large selection of fish to catch. You can buy a permit over the Internet before you come, contact us for details. need to bring is a swimsuit, towel and old trainers, everything else will be supplied. We work with our local water sports company which offer all our guests a discount. They have easy and difficult courses to cater for all levels and ages. 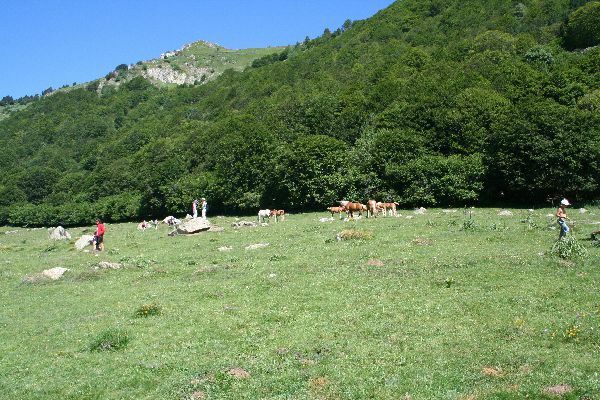 There are hundreds of kilometres of walking routes in the area including the GR3 and 7. We have books, maps and local knowledge to help you plan your walks. If you want we can arrange for a local English (and French) speaking guide. All the walks are within easy reach of our B&B, the first one starts just 20M away. Lots of mountain bike (called VTT in France) routes around us, the first starts almost outside our gate. Road cycling is also very popular, the Tour de France passes every other year although the best place to see it is on the mountains just 35 minutes drive away. Information on both mountain and road routes are available from the local Tourist office.